Camps are a great way to learn new riding skills or to improve the riding skills you have already. 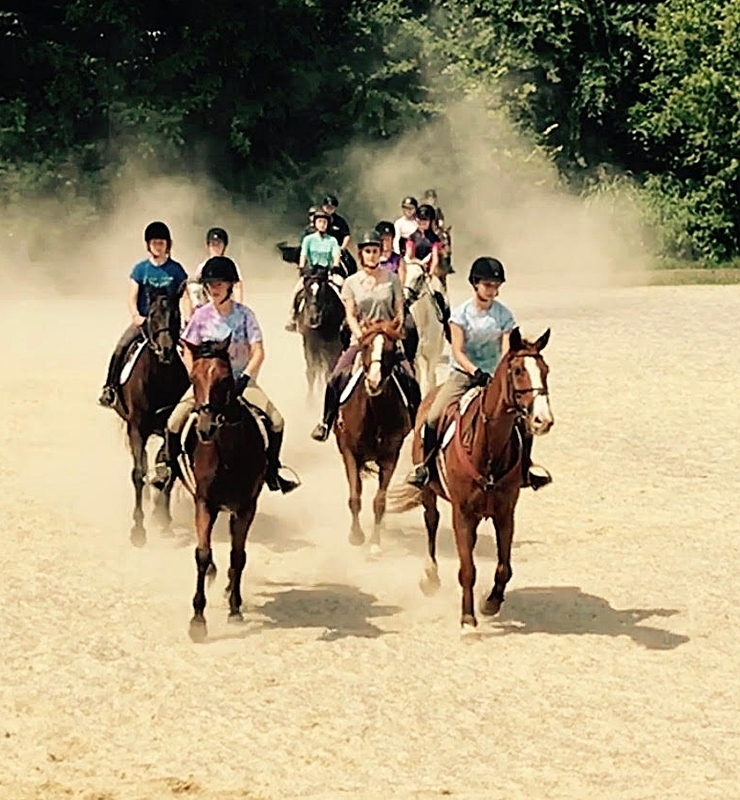 Each camp is designed so campers can gain knowledge about the care of horses and experience in the saddle. Our camps and lessons are all taught by qualified instructors and taught with the goals and abilities of each camper in mind. We offer Pony Camps for the new rider and Horse Camps for the full day for the young riders who want to spend more time at the barn. NEW for 2019 is the P.O.N.Y. event days and week. This is an opportunity for young people to learn more about horses, to be with the horses and grow as leaders. Please click on CAMPS/PAYMENT in the top menu bar to sign up for a camp. All Camps are available to book here online. The Early Sale will begin on January 15th for 5 days only. Please email us and we will help you book your second child or third child into camps.